The ability to be hands-on and practical with projects and have full involvement is a really important aspect of the course. “What I enjoy most is the independence the course gives you. Studying a creative course such as product design gives you the opportunity to research into subjects which interest you, allowing you to then design and develop an object or system which you have been thoroughly involved in. The ability to be hands-on and practical with projects and have full involvement is a really important aspect of the course. Have you been involved in any live projects or briefs on your course? “During Year Two we were involved in many live briefs including a project with Nestle. However one live project I greatly enjoyed was a project with Webb deVlam in association with Unilever. This involved redesigning the aftershave bottle for the Brut brand to make it appeal to the modern renaissance man. This project allowed me to gain more insight into branding and advertising in order to make a physical product more appealing to a certain target audience. Has the course included any trips? “In Year Two, all product design courses undertook an international trip, with BA and BSC Product design going to Berlin, and Furniture and Product design went to Porto. I found Berlin a very enjoyable experience, being able to experience a new culture. It was also very useful to gain insight into German architecture and design, and also experience the history of Berlin, visiting such attractions such as the Berlin wall, and Brandenburg gate. 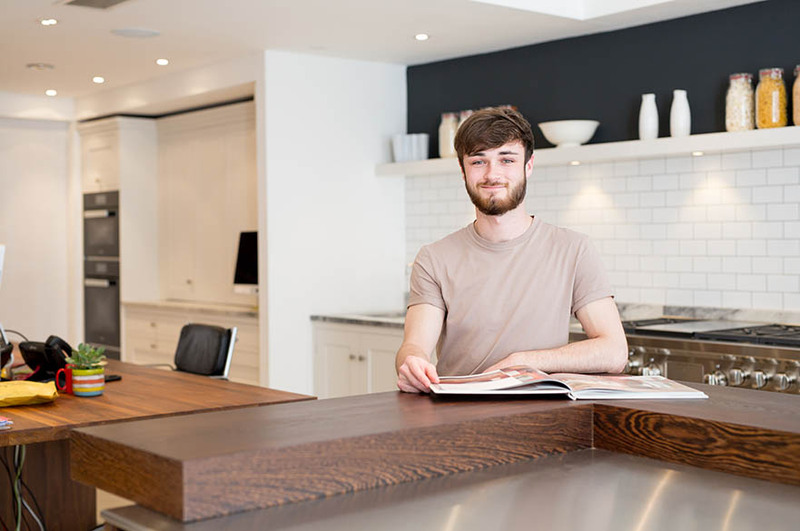 “I spent my year working as Technical Assistant at Roundhouse Design. They are a bespoke kitchen company who design furniture and kitchens for a high clientele. My role involved working with the Technical Director to ensure all kitchen designs are complete and can be sent to the factory for production. I draw on all the services for appliances and prepare the drawings and spec for my technical director to check through. Once this is done, I have the responsibility of sending the completed drawings and spec to the client via email and post.